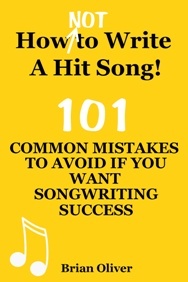 Most experienced songwriters recognize that if a song is to become a great song, it must be able to reach out and touch listeners and stimulate an emotional response within them. It must make them feel something. Katy Perry calls this her ‘goose bump test’. Katy cites her latest single ‘Unconditionally’ as an example of this. She felt inspired to sit down and write the song shortly after travelling to Madagascar with UNICEF. Touched by the unconditional love that the children she met had for each other – despite their poverty – she decided to pen some lyrics about what it means to care for someone in the purest form. Katy says that ‘Unconditionally’ went on to pass her ‘goose bump test’ and it is her favourite song on her latest album Prism. Try giving your own songs the ‘goose bump test’ with the people closest to you, someone who will give you an honest opinion. If the song doesn’t genuinely move them in its rawest, stripped-down form—one vocal and a single guitar or piano—then the song has failed. Don’t fool yourself into thinking a magical transformation will take place in the studio if you decide to spend money on making a demo of the song. Trying to create an emotional connection with the aid of lots of production frills won’t fool listeners (or music publishers or A&R execs!). They always look to the song inside the recording.